Can you guess who this boy is? You may not be recognizing the boy without his long locks. This is MS Dhoni’s younger days when he was in school. We recently saw the inspiring movie which was based on the story of MS Dhoni. Before becoming a popular cricketer, he used to do the job of a ticket collector. As a child, he did not have interest in cricket but he was an ardent fan of several sports. Today, we are going to tell you about the story of MS Dhoni. His story will inspire you to chase your dreams. The story is about passion and perseverance. 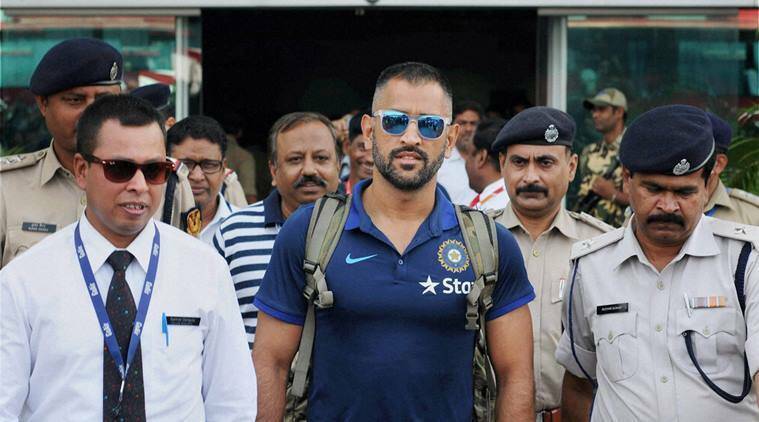 Mahendra Singh Dhoni is a humble boy from Ranchi who entered the world in the year 1981. He was a great fan of football and badminton but he developed a keen interest in cricket. Many people supported him throughout the journey and made him realize his dream. There are many inspiring lessons that the sportsman has taught us about life. What are those? His father was a pump operator and once Mahendra got the job at the railways, he was deeply satisfied. However, Mahendra had bigger dreams and he wanted to pursue cricket as his career. He loved the sport and he wanted to chase his passion. It taught us to dream big and not get satisfied with small joys of life. He is a wonderful human, who was always up for absorbing new learning from his peers. He never hesitates to appreciate the outstanding work of others. He never lost hope and put in extra effort to fulfil his dream. Even after achieving success, he did not leave the hands of his friends and family. His friends have supported him throughout his journey and feel grateful to have them in his life. The turning point of MS Dhoni’s life was when he decided that he wanted to pursue cricket as his career. He left his job of Indian Railways and concentrated on improving his skills as a cricketer. Many people look up to him and they want to become like him! Mahendra Singh Dhoni has inspired many youngsters from all over the world to take their passion seriously. He inspires youngsters to take up a sport and excel in it. Manpreet Singh is an International Hockey Player and he is an ardent follower of MS Dhoni. MS Dhoni co-owns a hockey time called Ranchi Rays. Manpreet Singh plays for the team and he feels that MS Dhoni is truly an inspiration. MS Dhoni has been an asset in the Indian cricket team and he has a fan following across the world. When he is in a room full of people, his presence is felt and he is a humble man. He is the man, who never hesitates to improvise. He always improvised his game and never let a failure get to him. This is a true story and it has inspired many! If you have a dream or passion, you should go after it and achieve it. There will be obstacles but life is not easy. Once you go after your dreams, the universe will find a way for you to achieve it. Share this inspiring story with your friends. You never know somebody might just need a little inspiration!